I received the CD and tapes yesterday and was in amazement at what your musicians did for the song. It is awsome! Everyone wants copies of it. Who is the singer? He does a marvelous job. Thank you and your staff so much for working with me on my lyrics. I have been very pleased with the results so far and feel that this is an outstanding company to do business with. Received my song demo yesterday and love it. Thank you much. Please pass on my appreciation to the composer. I have received the CD's and you guys at NSS did one heck of a job. We are very pleased with the finished product. Welcome to Nashville Song Service. We are Nashville's premier songwriting and artist development company. Located in the heart of Nashville, we are just a stones throw away from the movers and shakers in the Nashville music industry. We work with all styles of popular music with a concentration in the country industry. Our goal is to find and develop talented songwriters, lyricists, and singers in the advancement of their careers. We accomplish this through co-writing, producing professional demos and music videos, song placement, and help in promotion to the music industry. We work with a wide variety of writers and singers all over the world and at all skill levels. You've probably asked yourself this question. The reality is that most successful writers and singers in Nashville don't "have what it takes" all by themselves. Most number one hits are co-written and behind every hit singer and songwriter are a team of talented people who assist them in their success. There needs to be music and melody written to your lyrics to make a complete song. 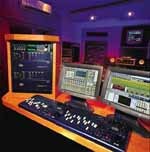 The song needs to be produced professionally which involves a studio, musicians and singers, a producer, studio engineer, and arranger. Once the song is produced it needs to be pitched to an artist. The artist has a team of experts which includes a record label, producer, management company, image consulting firm, publishing company, promotional experts, and the list goes on. All these people are involved every step of the way in the development of the artist and the songs they sing. If you're a singer who wants a record deal, you need to find great songs, produce a professional demo, find management, get professional photos, write a biography, produce a music video, get professional representation...you get the picture. Sounds confusing? It can be unless you have professionals on your team to assist you in your goals. Nashville Song Service is connected to all aspects of the industry and can bring the professionals together and make things happen. The first step in working with us is to submit some of your work for a free evaluation. Lyricists can submit lyrics or song poems through our website. Songwriters who write words and music, and singers can submit a tape or CD via the postal service. Please visit our Submissions page to find out more.